I will take the backseat over the confessional any day of the week. I rather commit some fine feeling sins than speak over them to get some priest off. I rather drink whiskey and toss aside the wine. I do not believe I care to repent because it's not even last call and I have a few more rules I can possibly break. I never worry over being judged. But I have some concerns over where I will get the cash for my bail. But I never found Sunday school all that appealing. Live your life standing upon your own two feet rather building up callouses upon your knees. Life's too short to worry about the invisible man's wrath. See ya in a warmer climate just in case I'm wrong. 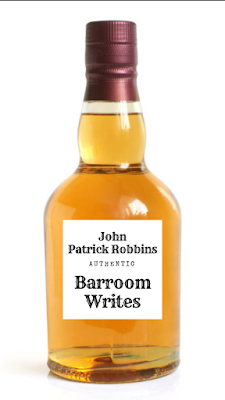 Is the editor of The Rye Whiskey Review, Under The Bleachers and Drinkers Only. He is also the Author of Smoking At The Gas Pumps by Soma Publishing. Dope Fiend Daily, Ariel Chart, The San Pedro River Review, The Mojave River Review, Stanzaic Stylings, Blognostics, Red Fez, Punk Noir Magazine, Blue Pepper, Angry Old Man Magazine, Spill The Words, Academy Of The Heart And Mind, Piker Press, A Beautiful Space. Intense stance of self independence here. A powerful statement of free will. Well penned. Y'ALL know I like this guy's work & this one is really good! Made your Mama proud,Son.